Johnson Hardware 1560 Series Pocket Door Frame for Doors up to 36 in. x 80 in. Johnson Hardware 2000 Series Pocket Door Frame for Doors up to 48 in. x 84 in. Johnson Hardware 1500 Series Pocket Door Frame for Doors up to 42 in. x 84 in. 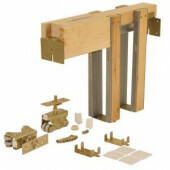 Johnson Hardware 1500 Series Pocket Door Frame for Doors up to 30 in. x 96 in. Johnson Hardware 1560 Series Pocket Door Frame for Doors up to 30 in. x 96 in. Johnson Hardware 2060 Series Pocket Door Frame for Doors up to 30 in. x 80 in. Johnson Hardware 1500 Series Pocket Door Frame for Doors up to 32 in. x 84 in. Johnson Hardware 2060 Series Pocket Door Frame for Doors up to 48 in. x 80 in. Johnson Hardware 2060 Series Pocket Door Frame for Doors up to 36 in. x 80 in. 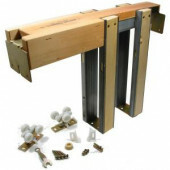 Johnson Hardware 2000 Series Pocket Door Frame for Doors up to 30 in. x 96 in. Johnson Hardware 1500 Series Pocket Door Frame for Doors up to 24 in. x 96 in. Johnson Hardware 1500 Series Pocket Door Frame for Doors up to 42 in. x 96 in. Johnson Hardware 1560 Series Pocket Door Frame for Doors up to 30 in. x 84 in. Johnson Hardware 1560 Series Pocket Door Frame for Doors up to 36 in. x 84 in. Johnson Hardware 2060 Series Pocket Door Frame for Doors up to 30 in. x 96 in. 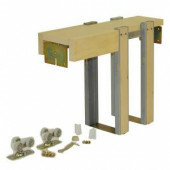 Johnson Hardware 2000 Series Pocket Door Frame for Doors up to 30 in. x 84 in. Johnson Hardware 1560 Series Pocket Door Frame for Doors up to 36 in. x 96 in. Johnson Hardware 2060 Series Pocket Door Frame for Doors up to 48 in. x 84 in. Johnson Hardware 1500 Series Pocket Door Frame for Doors up to 24 in. x 84 in. Johnson Hardware 2000 Series Pocket Door Frame for Doors up to 48 in. x 80 in. 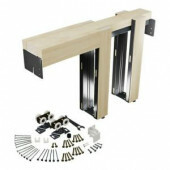 Johnson Hardware 1500 Series Pocket Door Frame for Doors up to 36 in. x 84 in. Johnson Hardware 1500 Series Pocket Door Frame for Doors up to 32 in. x 96 in. Johnson Hardware 2000 Series Pocket Door Frame for Doors up to 36 in. x 84 in. Johnson Hardware 2060 Series Pocket Door Frame for Doors up to 30 in. x 84 in. Johnson Hardware 2060 Series Pocket Door Frame for Doors up to 36 in. x 96 in. Johnson Hardware 1500 Series Pocket Door Frame for Doors up to 42 in. x 80 in. 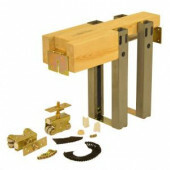 Johnson Hardware 1500 Series Pocket Door Frame for Doors up to 28 in. x 96 in.